Ultra PRO has partnered with Wizard World to bring you an exclusive line of high-end comic book and artwork supplies. 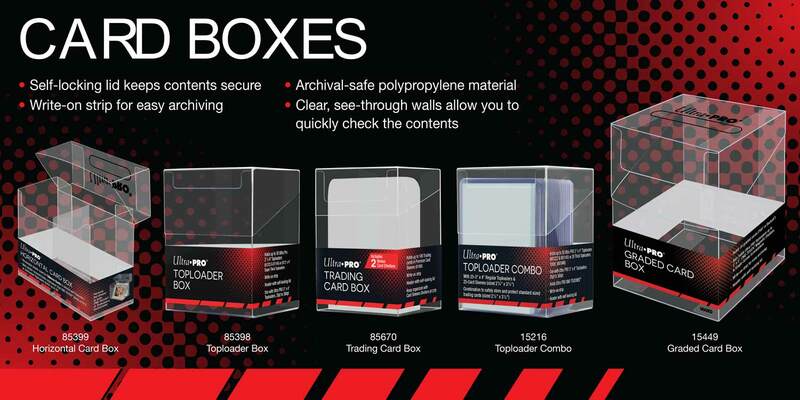 This line is specially designed for conventions and is the perfect storage solution for collectors and dealers alike. Included in this exciting new series is the Signature Series Comic Bag. This is the first custom comic book sleeve uniquely designed for obtaining and protecting autographs. Leading CGC facilitators like THECOMICMONSTER believe that the Signature Bag is the premier product for the collection and protection of autographed comics. Also part of this new series are the 11” x 17” and 8” x 10” Custom Lithograph bags with die cut handles for easy transport at conventions & shows. Custom designed, easy open top allows easy access for lithographs and minimizes snagging. These products are made of acid-free, archival quality material. For a schedule of upcoming Wizard World events, visit http://wizardworld.com/comiccon/ultra-pro-partner. Wizard World, Inc. (“Wizard World”) and Ultra PRO International LLC (“Ultra PRO”) have entered into a partnership whereby Ultra PRO will offer the ‘Official Collecting Supplies of Wizard World’, consisting of premium storage and collecting accessories for comic books, artworks and collectible prints. Wizard World is the leading producer of pop culture and comic conventions, bringing fans and collectors up close and personal with the sci-fi and fantasy worlds they love. From entry-level to seasoned collectors, Wizard World events offer show goers an opportunity to complete their high-value collection and to obtain unique autographs live from their favorite artists, actors and actresses. “We’re very excited for this partnership as Wizard World is the premier show for fans of pop culture and geekdom. Wizard World events are packed with activities, whether its buying and selling collections, getting that autograph from that special someone, grading your prized collectibles or just being star-struck. Having the right supplies can create a seamless experience for collectors and con-goers to focus on what the show is really all about – fun and excitement.” comments Frank Whittaker, Director of Business Development at Ultra PRO. Ultra PRO currently offers a wide variety of storage and display accessories for sports, comics and gaming collectibles. 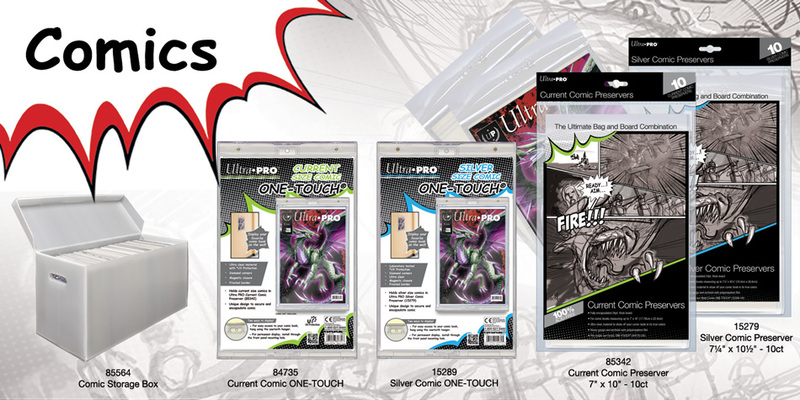 Ultra PRO plans to launch its initial Wizard World product line this year with comic supplies designed specifically for high-end collectors, as well as carriers for lithographs and artwork prints. 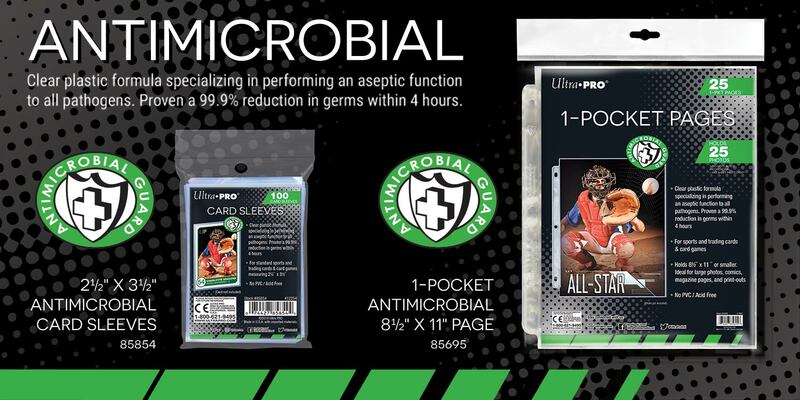 This new line will be available at Wizard World’s on-site retail stores and through Ultra PRO distributors worldwide. “Ultra PRO has been producing high quality supplies for as long as Wizard World has been running events. 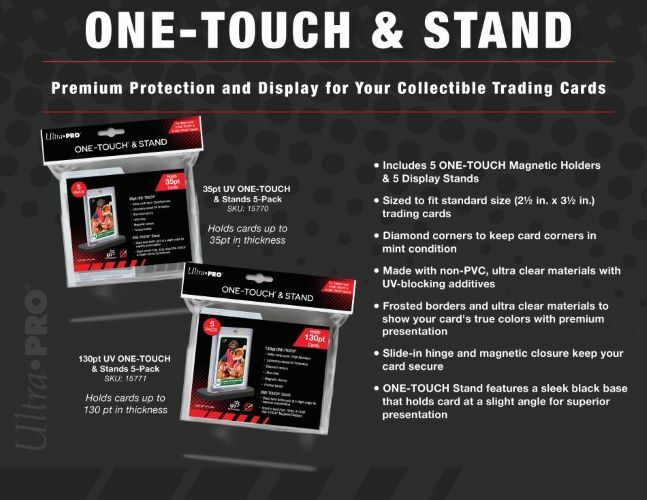 With the number of artists, celebrities, collectors and fans attending our events, it made perfect sense to partner with Ultra Pro to give the fans the best products to protect and safeguard their items. 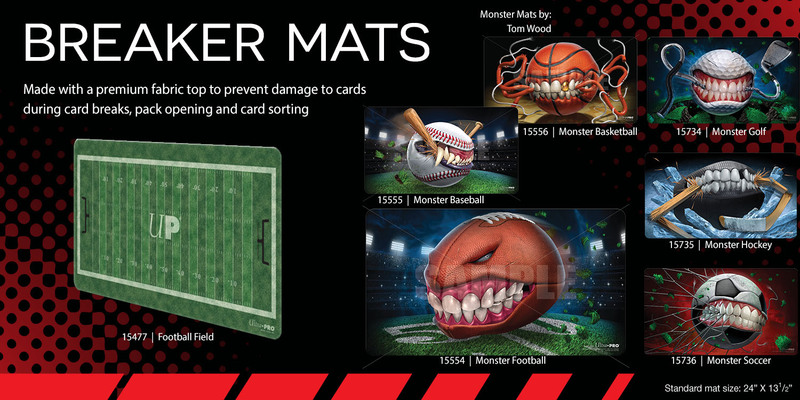 We are excited to announce three never-before-seen products that should make a big impact at conventions across the country and worldwide.”, added John Macaluso, Wizard World CEO. For a schedule of upcoming of Wizard World events, visit www.wizardworld.com and for a complete list of Ultra PRO distributors, please visit www.buyultrapro.com. Wizard World, Inc. (www.wizardworld.com) produces comic cons and gaming and pop culture conventions across North America that celebrate the best in pop-fi, pop culture, movies, television, cosplay, comics, graphic novels, toys, video gaming, sci-fi, gaming, original art, collectibles, contests and more. A first-class lineup of topical programming takes place at each event, with celebrity Q&A's, comics-themed sessions, costume contests, movie screenings, evening parties and more. Wizard World has also launched Wizard World Store (www.shopwizardworld.com), CONtv, a digital media channel in partnership with leading independent content distributor Cinedigm™ (NASDAQ: CIDM), and ComicConBox™ (www.comicconbox.com), a premium subscription-based monthly box service. Fans can interact with Wizard World on Facebook, Twitter, Pinterest, Instagram and other social media services. 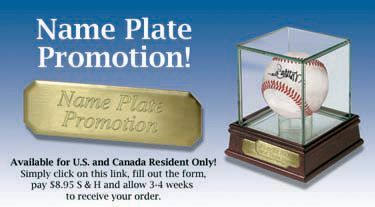 7/17/2014: Last minute prize addition to the 2014 National Sports Collectors Convention! To celebrate the return of King James to the Cleveland Cavaliers, we are raffling off a 2009 LeBron James MVP Bobble Head. Since departing Cleveland in 2010, LeBron James led the Miami Heat to two back-to-back NBA championships in 2012 and 2013 seasons. This limited edition bobble head comes with an Upper Deck 2008-2009 First Edition card and will be available for raffle at the GT Sports booth (#2132 and #2136), run by Greg Tatich. GT Sports will be giving away one raffle ticket with every $20.00 in purchases at the booth. The winning raffle ticket will be selected on Sunday, August 3rd at noon at the National. Both the bobble head and the card will be given away together in an Ultra PRO Figurine & Card Display. 7/11/2014: We'll see you at the 2014 National Sports Collectors Convention in Cleveland! We are raffling off an autographed Ozzie Newsome full size football helmet. Ozzie is a Hall of Famer of the Cleveland Browns who is now the General Manager of the Baltimore Ravens. This helmet will be available for raffle at the GT Sports booth (#2132 and #2136), run by Greg Tatich. GT Sports will be giving away one raffle ticket with every $20.00 in purchases at the booth. The winning raffle ticket will be selected on Sunday, August 3rd at noon at the National. The helmet will be given away in an Ultra PPRO Helmet Display. 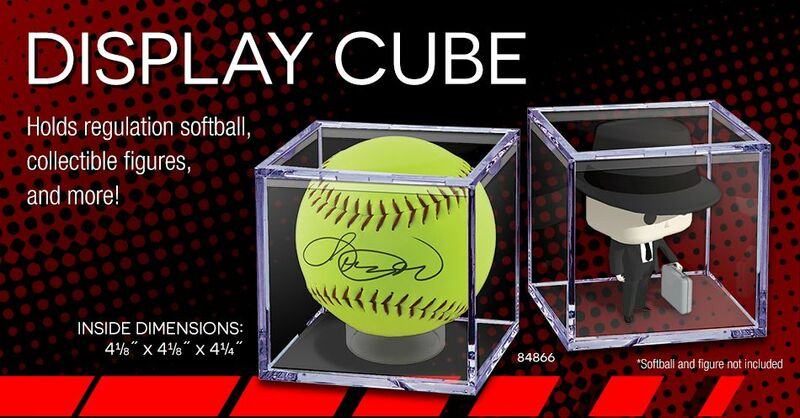 We are raffling off a signed Brian Hoyer full size football with COA from PAAS (#15632). Brian is a current and possibly starting quarterback for the Cleveland Browns in the 2014 season. We are also raffling off a Carlos Santana signed Big Stick baseball bat with COA from PSA (#W38473). Carlos Santana plays First Baseman, Catcher and Third Baseman positions for the Cleveland Indians. Both of these items will be available for raffle at Lin Terry, run by Dan Neufeld, with two booth locations – one by the corporate area across (#1137 & 1236) and one directly across from the autograph pavilion (#2340 & #2342). Lin Terry will be giving away one raffle ticket with every $20.00 in purchases at either booth locations. The winning raffle tickets will be selected on Sunday, August 3rd at 2PM at the National. The football will be given away in an Ultra PRO Z-Design Football Display, and the bat will give given away in a new Ultra PRO bat tube. Last but not least, we are providing our valued partner Cardboard Connection Radio with supplies for the Vern Fuller autograph session and team bags for the Cardboard Connection Radio exclusive collectibles card set, available only at the 2014 Nationals. Vern is currently the Executive Director of the Baseball Heritage Museum and played Second Baseman for the Cleveland Indians over six seasons. The Breaks is a unique web series about a sports card addict whose compulsion for collecting constantly derails his attempt at a normal life. With the help of Kickstarter funding, the show is on its way to filming six more episodes for season one. As a token of appreciation for sports card collectors everywhere and to help promote our hobby, Ultra PRO will match the show's Kickstarter campaign funds dollar-for-dollar up to $3,500; so grab some popcorn and watch the action unfold. 3/9/2014: Check Out New Episodes of "The Breaks"! Got card collecting on your mind... all the time? "The Breaks" is a hilarious look at what it means to be a sports card collector. New episodes are now airing on YouTube, or for a faster link, flip over to our "Videos" tab and start watching! Collectors asked, and we answered. 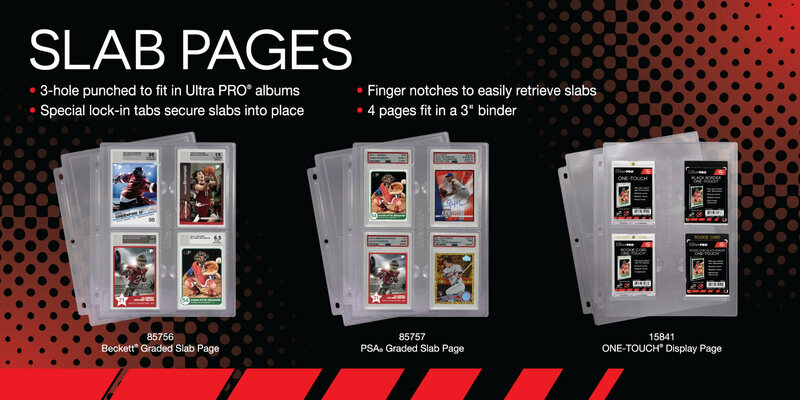 We are now taking distributor pre-orders for our new 9-pocket Mini Card Pages. If you are joining us at this year's Industry Summit, come by one of our distributors' booths and check out some samples. 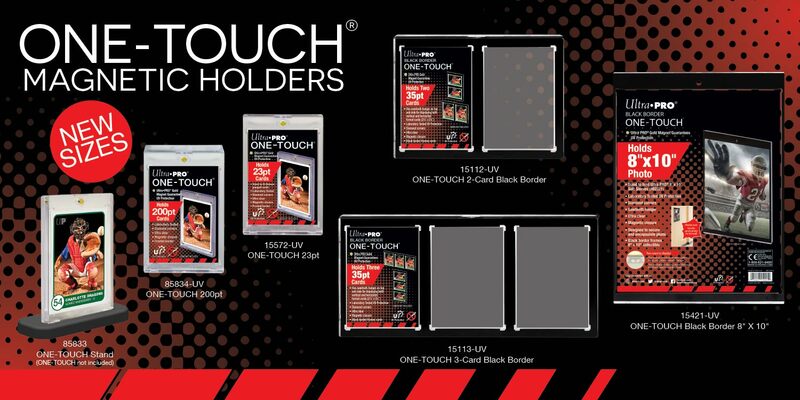 New One Touch magnetic holders sized to fit most vertical booklet cards are available now and shipping to distributors - ask your local card and hobby shop about them! New black frame inserts sized to fit Mini Cards (such as Topps '75 Mini Cards) are available now! 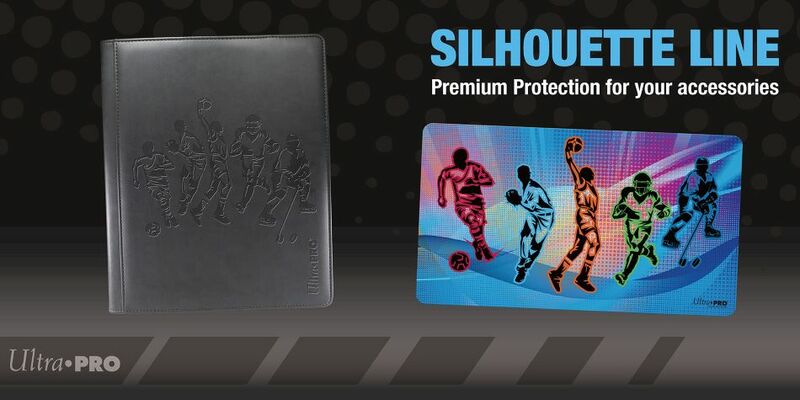 Inserts fit in ONE-Touch magnetic holders and frame your mini card for safe storage. We have updated our Store Locator! Websites are now listed and search functions made more robust. If your store's website is not listed through a "View Site" link, please send us an email through the Contact Us section and we will update your information.